Horseback riding, any level of rider (children from 6 years). 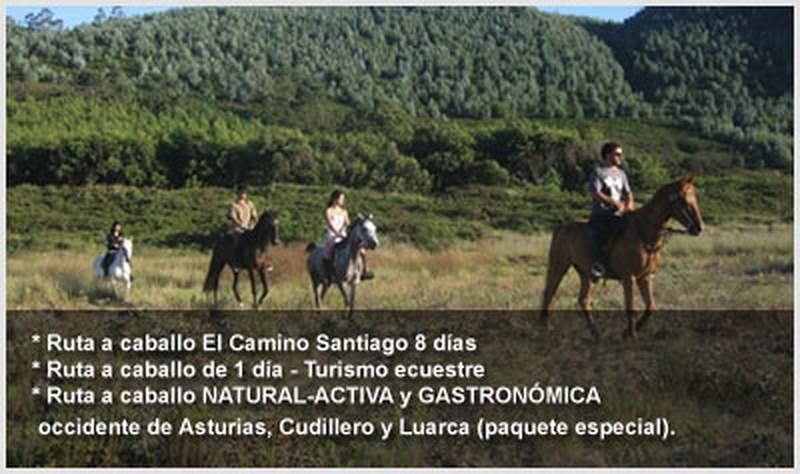 7 Km from the apartments, departures from Lamuño round. The length of the route varies depending on the route and a route can do an hour or several hours as may be the the mountain and saw Pascual Winds. 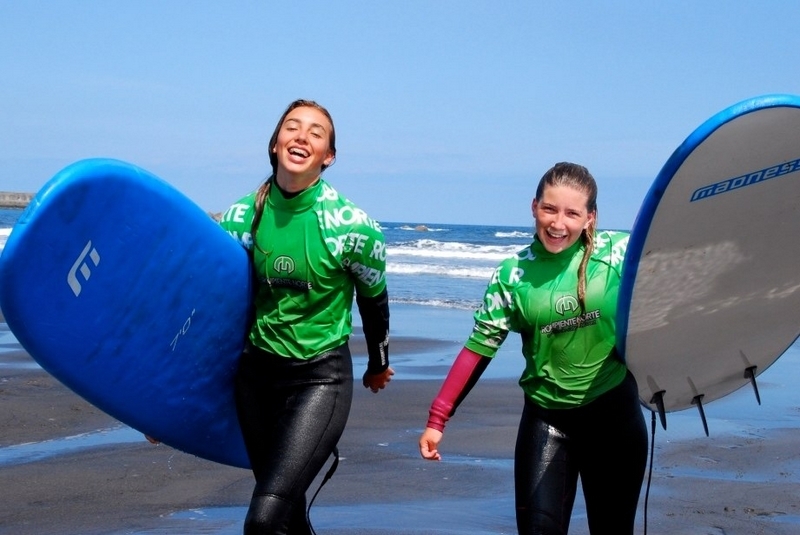 Surf and surfcan courses on the beach Quebrantos, 12 km from the apartments. qualified personnel, reduced students with a ratio of 7. Different types of courses number: beginners, advanced courses and family. 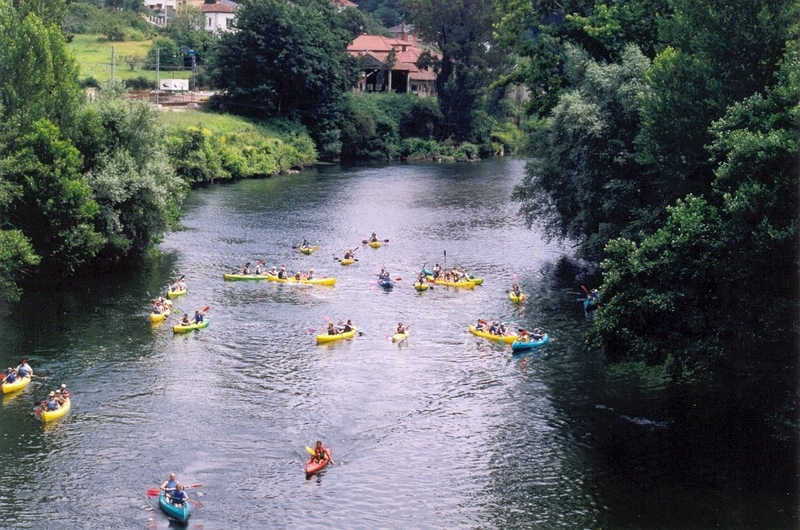 Canoeing down the river Nalon, route of 14 Km, accompanied with monitors; It includes transportation and food. 8 km from the apartments. The descent is done in canoes two or three seats, water runs through Nalon River between San Roman de Candamo and Pravia an apt route for all ages. Caving and canyoning, 15 km from the apartments. With Cadventur enjoy the sport of adventure in a guided manner. For all ages. Caving, abseiling, archery, MTB routes. etc. Boat trips and fishing trips from the port of Cudillero. Snorkeling or diving in several nearby beaches, especially El Silencio beach, Oleiros beach and Las Llanas beach.